For ages I have been harping on about mini artics, or mini sattelzug for our continental friends, and in particular I have been trying to find out what the deal is with the weights of these little trucks. If a little rigid is plated as a 12 tonner then what is its gross weight when its converted into a mini artic?? To me it would seem pretty pointless if 12 ton was the gross train weight of a mini artic, although I know it can be if required. It makes more sense if a mini artic has a higher GTW and finally I think I have found the proof to back this up. I managed to get hold of a 30+ year long servant of MAN Trucks UK by the name of Keith Mulhall. Mr Mulhall emailed me a copy of the brochure “MAN Leichte Sattelzugmaschinen” as you may be able to tell its in German! But it does list the Gross Train weights for the various models in the TGL range. This is the simple summary of the whole thing, but obviously it all depends on the rest of the drive train. 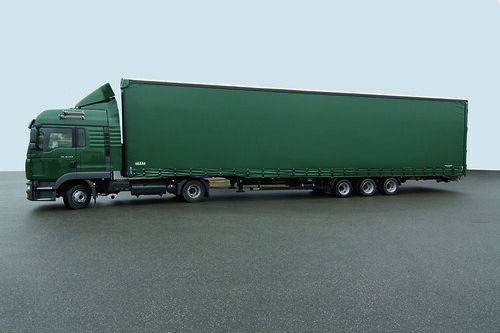 There are various axle rartio’s and gearboxes to choose from to achieve your desired weight and I dare say that dependant on your country will depend how many axles you need in total to achieve said weight. I’m guessing that what ever make of truck, the train weights must be similar if not the same. Got anything to add? Email me at ben@truckblog.co.uk or leave a comment below, i’m off to read “How to Watch Paint Dry” by Major Lee Board!!! I just wanted to share it with you as i’ve gone on about it so much and no one could give the answer. Now you know and just think, I don’t have to tell you again……….But I might do more on the Duvenbeck if I can get a response from them. This entry was posted in MAN, Mini Artics, Truck Detective by truckbloguk. Bookmark the permalink. Can a mini wagon+drag be specced? Any advantage over the mini artic as in lenght etc? Oh, and I want one! 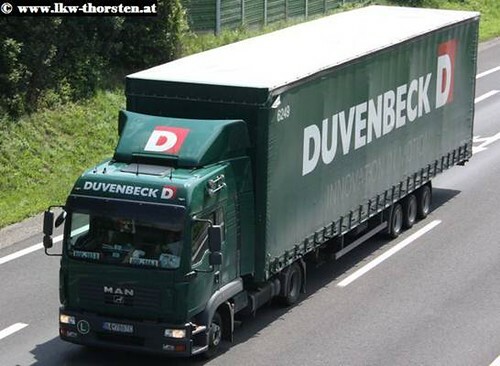 Duvenbeck is one of the leading logistics companies in Europe with a focus on the automobile, drinks and plastics industries. With a total of 2,300 employees, the group is represented at 28 locations in eight European countries. The foundation stone was laid by Bernhard Duvenbeck with the founding of his moving goods company in 1932 with a horse and cart. The growth of the company was initially steady but slow. 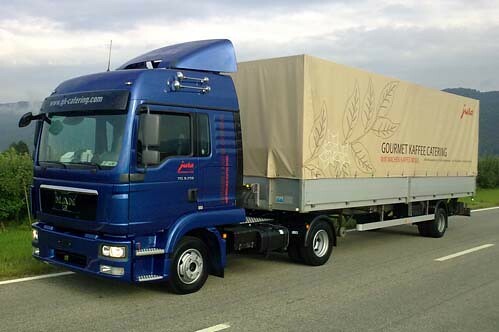 At the start of the 90s, the company employed around 50 employees and had over two dozen lorries. When Thomas Duvenbeck took over the fortunes of the company in 1992 at the age of 26 and exploited the upheaval in the automobile industry for the benefit of the company, the growth curve shot upwards. I reckon the minis are moving tin cans for beer! The mini MAN’s are moving MAN cabs on stillages! !